Ever noticed excessive or unwanted fats under the chin when you look in the mirror? Bought face massager roller from retail stores but find it ineffective despite continuous routine? Don’t be troubled, just find out the reasons behind the chubbiness and cure it effectively! When age increases, your metabolism starts to slow down, and skin collagen decreases. This causes your skin to lose its elasticity, resulting in loose skin that contributes to double chin. Unfortunately, age causes the skin to droop and become saggy, including the chin. As you age, it is important to understand how to take good care of your skin. This is the most common cause of double chin. Increase in weight or being overweight can easily lead to a double chin. Unhealthy diets such as processed food, high caloric and fatty food will cause increased accumulation of weight. The increased fat cells will spread over the body, including the chin. It is definite to say that being overweight will lead to more fats in all body area. In current 21st century world, it is filled with advanced technologies such as smartphones and computers. As people use their gadgets for many hours, they tend to fold their chins while using the phones or computers. Such poor posture weakens the muscles between the neck and chin, causing it to sag easily and lose its elasticity. Having an upright posture will certainly helps to reduce the double chin appearance. Believe it or not, if any of your family members have double chin, there is high possibility that you might have it too. This means that anyone with a family history of loose skin or double chins are more likely to develop one themselves. You might just have similar jaw or neck structures as your loved ones. 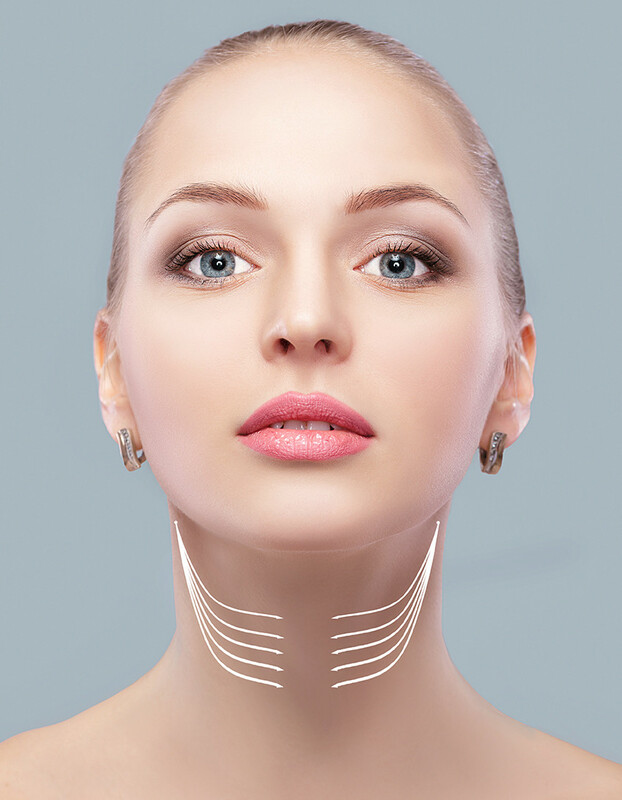 But not to worry, there are many treatments offered to cure double chin. Some women find that their face looks more bloated and chubbier during their monthly cycle. It is normal to feel full during this period. However, if you wish to resolve your enquiries, you can check with your gynecologist about your hormones level and understand how to balance it. Health conditions such as salivary gland infection and sinus infection cause the skin under the neck to swell; contributing to double chin. Consult your doctor regarding how to deal with this issue and check whether there are suitable treatment options available. Of course, it is important to stay healthy and practice good diet, which includes green, leafy vegetables, beans, fruits and nuts. Staying away from high caloric food will help to keep the weight off. This reduces the amount of fats that will accumulate in the body; preventing the likelihood of double chin. Drinking plenty of water will also help to shrink fats and toxins from the body. At least 8 glasses of water a day will help to reduce double chin and bloated face. Staying hydrated will lead to healthier and firmer skin as toxins are removed from the body. Bottles up and glow up! 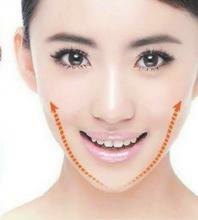 Certain face masks that can be found in beauty stores are used to tighten the skin and create a V-shape chin. These masks can reduce the fats that are surrounded on the neck and chin. Besides going for a run around the park, you can practice face exercises that are meant to reduce the appearance of double chin. Yes, you can train the neck muscle with regular workout and lose that double chin. These exercises might help to tone the muscles between the neck and chin. For instance, open your mouth wide and stick your tongue as far as you can while holding for 10 seconds. Then, place a small ball under your chin and press your chin down against it, while looking at the ground. Another exercise you can do is to tilt your head backwards; ensure that you are staring at the ceiling. Then, pout your lips and hold it for 5 seconds. Do each movement for at least 20 times daily. There are also other exercises that specifically target at double chin reduction. So, start googling for more solutions! As poor posture can loosen the muscles between the neck and chin, try to discipline yourself and maintain an upright posture. 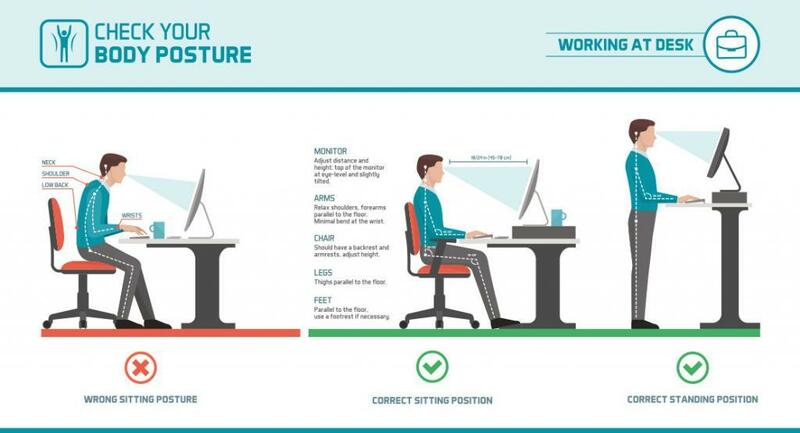 Incorrect posture will cause the surrounding skin to lose its elasticity over time. Thus, instead of looking down at your gadgets or computers, lift your chins up. Or, just take a 5 minutes break from the technological world and go out for a walk. The treatments offered are usually completed in combination or alone according to the doctor’s recommendation. If you have any enquiries to clarify, you can visit the clinics and consult respective doctors for a solution.